Revisit the popular 1995 movie, Jumanji on Jumanji Slot at Wicked Jackpots! It is a 5-reel, 36-payline game by NetEnt. Join the adventure in the jungle and meet magnificent animals. The movie Jumanji was based on a special board game called Jumanji which could take you on a wild adventure in the jungle! Want to feel the same thrill? 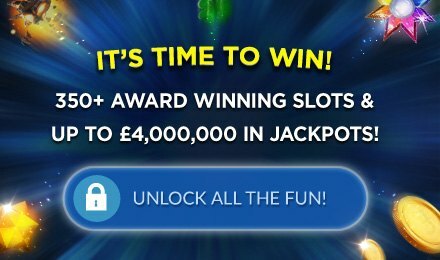 Launch this game at Wicked Jackpots using a PC, mobile or tablet. Jumanji Slot is set against a backdrop showing a dense jungle. The reels are set on a unique geometric shape. The symbols you can see on them are: Lion, Rhinoceros, Crocodile, Pelican, A, K, Q and J. Are you ready for the great adventure? On Jumanji Slot, choose your preferred value on the Coin Value field. On the Level field, select your desired bet level. The Max Bet tab allows you to place the highest bet. Next, press the Spin button to start your gameplay. You can also enjoy a set number of games played without any intervention with the Auto Play feature. Amount of Paylines Selection: The 36 paylines are always active and cannot be changed. Coin Values: The coin values are as follows: 0.01, 0.02, 0.05, 0.10, 0.20, 0.50, 1.00 and 2.00. The Wild symbol on Jumanji Slot substitutes for all the others, except Scatter. Scatter is represented by the Jumanji Board Game which helps trigger the Board Game feature. During the Sticky Vines feature, the symbols which form part of a win, as well as the Wilds from the initial spin, stick to the reels while the others spin again. When Monsoon Wilds is triggered, 1 or 2 reels are completely covered with wild symbols, while the other reels spin. During the Monkey Mayhem round, potential wins are paid out when the reels stop. The symbols are then shuffled at random to award a guaranteed win. During Wild Stampede on Jumanji Slot, the rhinos stampede across the screen while the reels spin and 4 to 9 Wilds are added. The Board Game is activated when 3 Scatters appear. Move the token on the board by rolling 2 six-sided dice. On each corner of the board, find a Free Spin feature. When the token lands on one of the 2 locations in front of a feature, the latter becomes active. The Free Spin features correspond to those of the main game. Vines Free Spins: 10 free spins are awarded with re-spins when a winning combination is formed. It corresponds to the Sticky Vines feature during the base game. However, wilds are held in place throughout the feature. Monsoon Free Spins: Get 7 free spins while the Monsoon Wilds feature is active. Enjoy 1 or 2 wild reels on every free spin. Monkey Free Spins: Earn 6 free spins, with the Monkey Mayhem feature being applied. The symbols are randomly shuffled to pay out guaranteed wins on each spin. Stampede Free Spins: Receive 5 free spins, while the Wild Stampede feature is active. Four to nine wilds are added on each free spin. This round is triggered when the token on the board lands on the Mystery Feature location. A carousel of Free Spin features, coin wins of 2x to 10x bet and 2 extra dice rolls show up in the Jumanji® circle. You can trigger the reward on which the carousel stops. Make the most of Jumanji Slot at Wicked Jackpots and have a wonderful time. Wish you all the best!